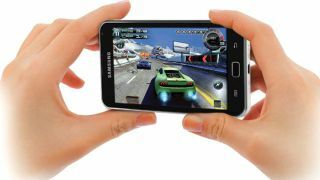 Chip designer ARM has announced new products that will bring high end performance to budget handsets. The firm has unveiled the new Cortex-A53 and Cortex-A57 chip designs, which will allow partners like Samsung (through its chip manufacturing department) to bring out phones that are more power efficient but with far more raw grunt under the hood. At the high end of things, the new architecture will allow consumers to get their hands on phones which are three times more efficient at using the apps we all mess around with today – leading to massive power savings or allowing more effort to be put into the high-drain tasks like photo and video processing. But given the smarpthone explosion is continuing apace globally, the notion of having quad core processors in sub £100/$100/AUS$100 handsets thanks to the A53 architecture means app developers will have a much more stable base of handsets to code to - something ARM is keen on, as it told TechRadar in a recent interview. The other benefits of the A53 and A57 options means the two can be combined using ARM's big.LITTLE mashup, which means ultra low power when nothing is going on with the phone but instantly spring into life and begin recording Full HD video without a pause. The size savings are also on offer here, which means manufacturers can make ever smaller handsets with increased cost savings for the consumers (or themselves, those evil geniuses) when the new chipsets start landing in phones. However, this won't be a swift process; like with all chip designs, it takes ages to cycle through to something in consumers' hands, with these designs going through the manufacturers' test rooms in the next 18 months before turning up in a phone or tablet at your local Phones4U in the by 2014… on the plus side, if you start saving now you can buy LOADS of the phones.